The Firelight Lantern Festival draws inspiration from traditions of many lantern festivals throughout the world which use light as a symbol to bring people together. The timing of our festival in mid-November coincides with the European tradition of Martinmas which originated in France in honour of St. Martin, a friend of children and patron of the poor. 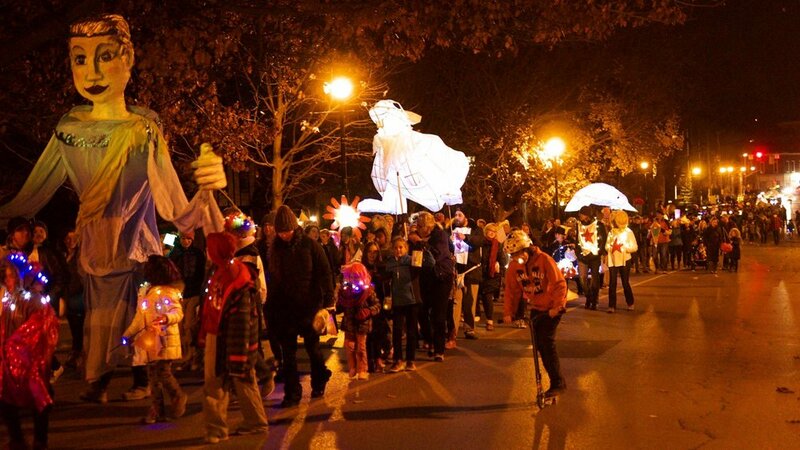 Martinmas is celebrated throughout Europe, its signature being children’s lantern processions. As fall ends and the darkness of winter descends upon us it is easy to feel isolated, especially living in a rural community. Our festival acts as a beacon to encourage our residents, both adults and children, to conjure their own light, bringing it into their hearts and homes to sustain them through the darkness. Making a lantern is a literal application of this metaphor, but in gathering people together to make lanterns in town halls, schools and living rooms, our camaraderie grows and we feel the warm glow of making beautiful things with our hands alongside friends and neighbours.